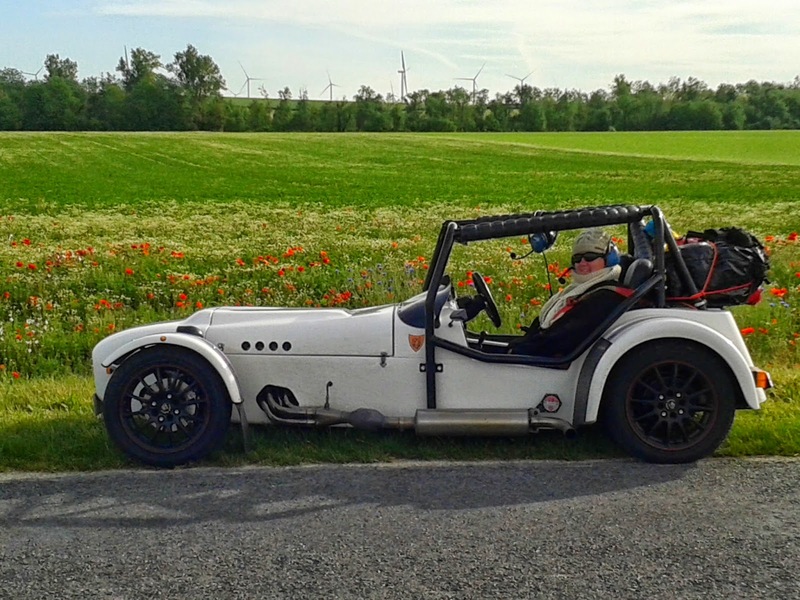 This blog documents my Tiger Avon kit car build project. 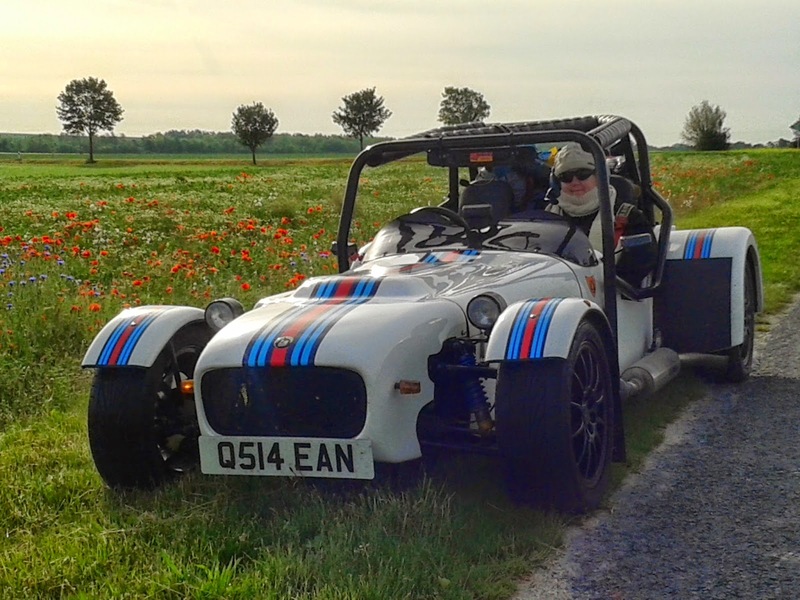 The Tiger Avon is a Lotus 7 inspired car, using donor parts mostly from a Ford Sierra. My car is powered by a 2.0 Zetec engine from a Ford Focus. 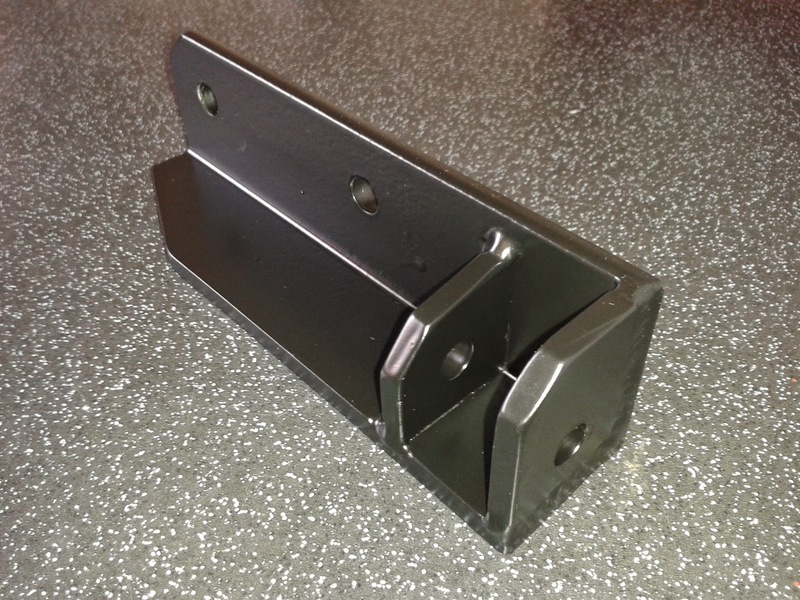 When I fitted the Denso alternator I fabricated a new top bracket. For the bottom bracket I reworked the original Lucas ACR bracket from Tiger. I removed the mounting pieces and had the local welding shop add new ones for the Denso. 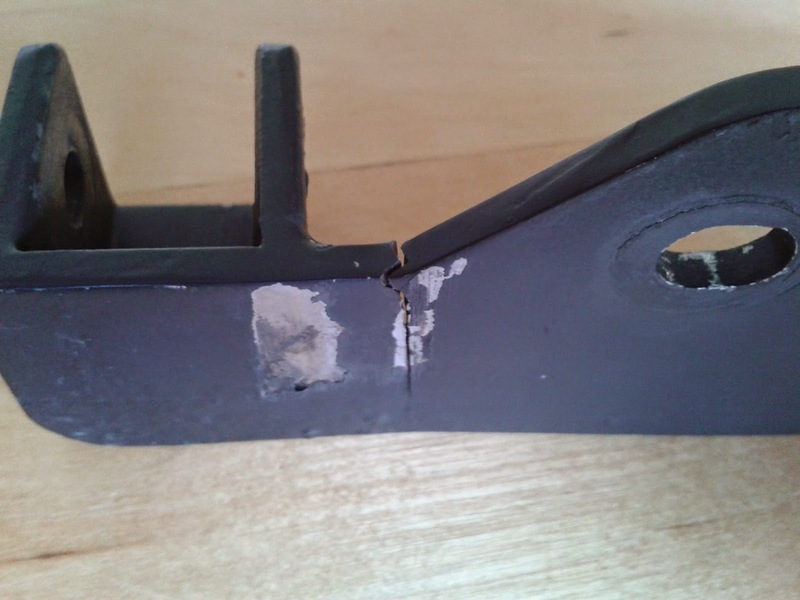 After fitting I did worry a little that this bracket had no lateral bracing and may be weakened by the sideways forces combined with it being 'pulled' across the front of the corner of the engine. It is not surprising that it failed as it did. I was just lucky I did not breakdown. Here you can see where the edge of the engine was contacting the bracket. 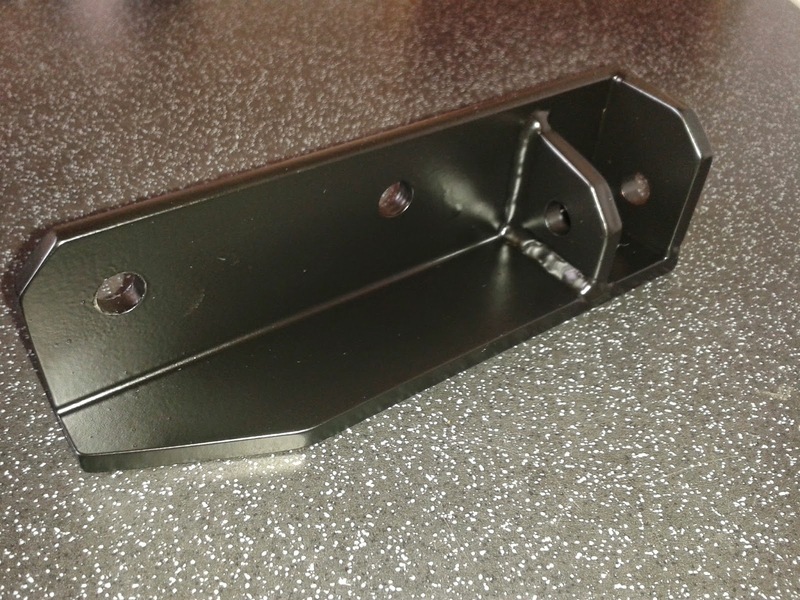 It it probably a bit over the top, but for a replacement I used some 5mm right angle steel and got some mounting pieces welded on. All painted up and ready for fitment. It is perhaps possible to lighten this further, but I didn't want to unwittingly introduce any weak points into this new bracket. It was mounted with spacing washers slightly proud of the engine so as not to have the corner of the engine pressing against the bracket where the failure occurred on the old bracket. 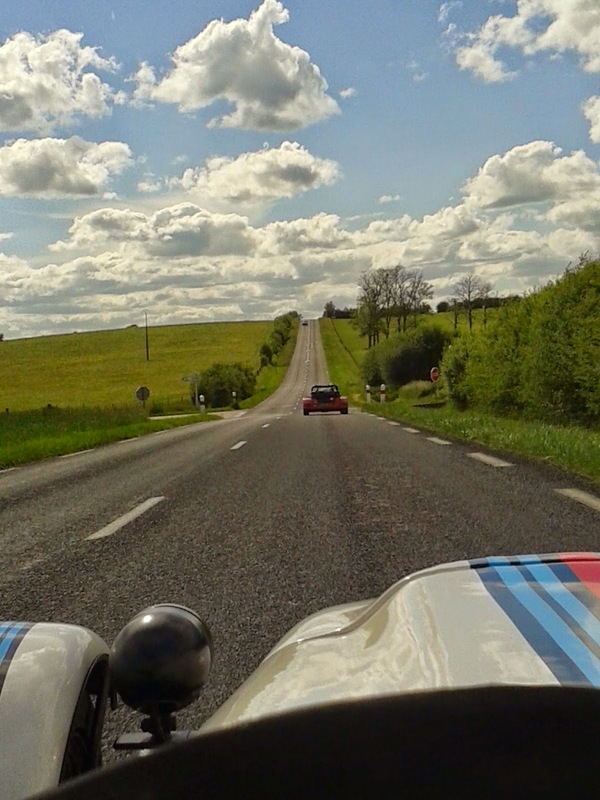 In mid-May we were lucky enough to join the Southern Kit Car Club trip to Europe. 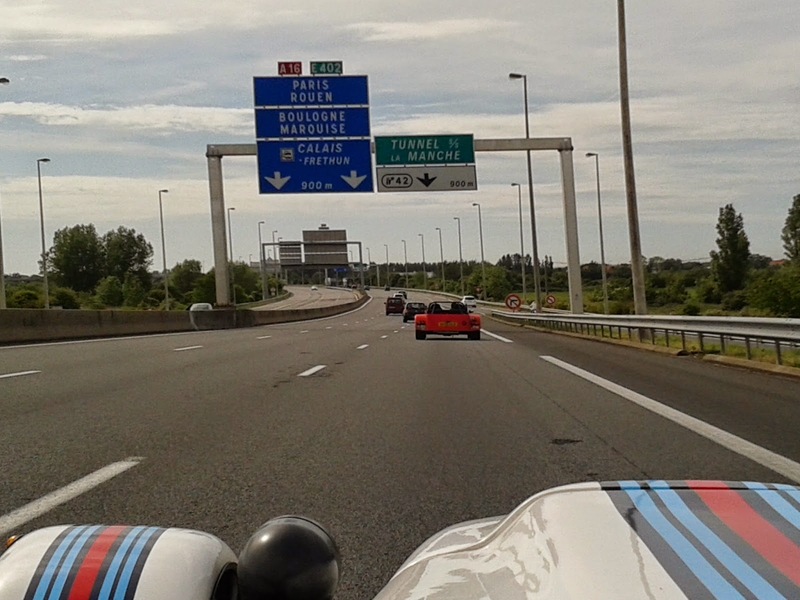 In summary, this involved around 20 cars, 4 nights, 1,500 miles and 4 countries. On day 1 alone we had breakfast in England, coffee in Belgium, lunch in France and dinner in Germany! Coffee stop at Belgium general aviation airport. A little damp on the ground at this point. Passing the famous Nurburgring, where we paused by the perimeter fence and watched the cars on track for a while. Riverside hotel for the first. By the time we reached the Mosul the sun was out and it was a glorious evening. Next morning, after leaving the hotel we crossed over the Mosul and quickly began to climb the valley on the other side. Travelling along part of the famous Maginot Line. It really is as narrow as a wide cycle path. Back into France for a lakeside lunch. By now it was very hot and we had to shelter out of the sun. 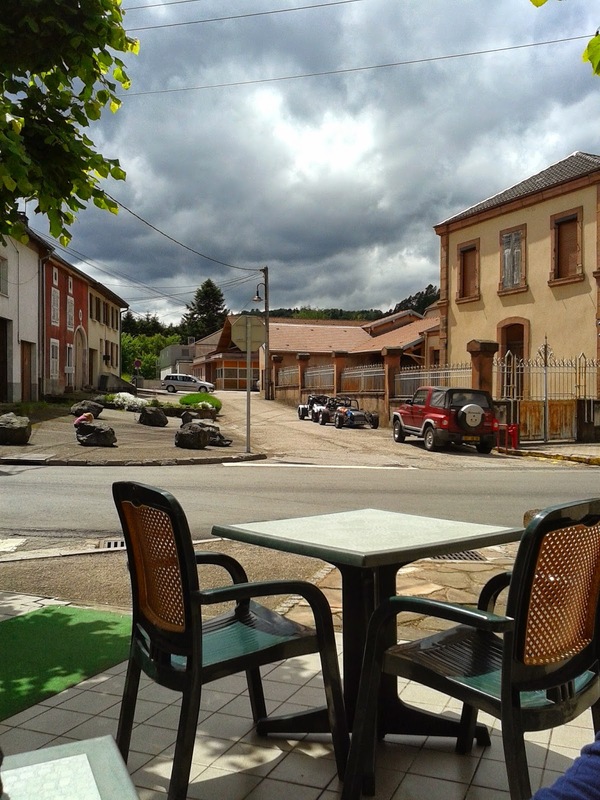 Afternoon tea stop was arranged at a small historic wood paneled hotel. The chance to catch up with other members latest modifications to tempting to resist. Final leg of day 2 saw us climb through the Black Forest mountains to the night stop. We did experience some thick fog and hail. As it was quite close to the final stop, it did not dampen our spirits. We were looked after very well by the excellent Grunwold Hotel. Next morning, after removing the car cover, it was still a little damp. A few miles down the road we stopped at (the world's largest?) working cuckoo clock. A rather eccentric clockmaker has made a house that contains a full scaled up wooden clock mechanism. We hung around a while to watch the animation on the half hour. In the afternoon we had a very enjoyable sustained climb to a ski station. There were climbing hairpins for a good 20 minutes. At the top we were rewarded with stunning views across the adjacent plateau. As the cafes in the ski station were closed for the summer season we stopped at a cafe a few miles further on and talked the owner into firing up the coffee machine. Again some stunning views from the car park. Ski runs in the background during this leg to the lunch stop. Lunch was at the quirky town of Todtnau. The best part was the roller coaster than descends down the mountain side. The top is reached via chair lift. A couple of breathers during the afternoon driving. Improvised luggage rack worked really well. Ability to still use the rear view mirror was very helpful throughout the trip. 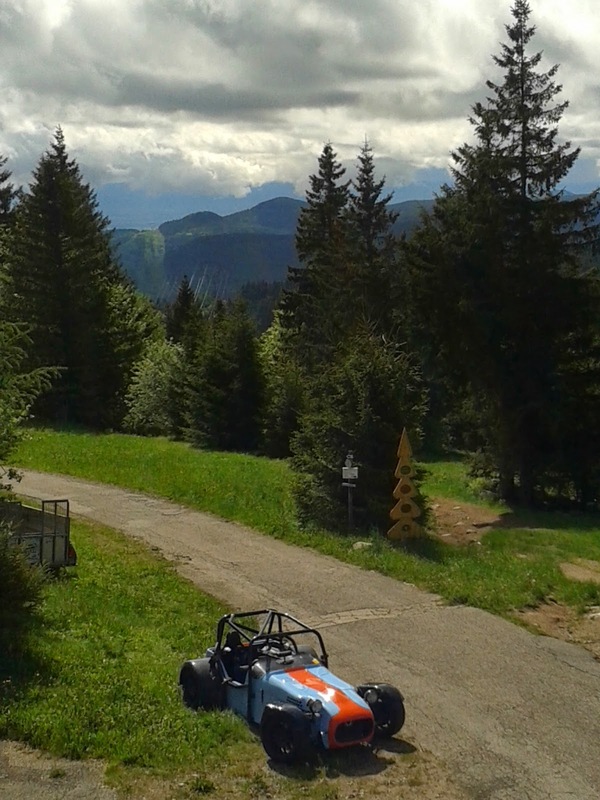 After the night stop in Mulhouse we headed again for the mountains. Mid-morning pit stop in at a ski station in the Alsace mountains. Late lunch stop for our group of two cars in a deserted village in the middle of nowhere. Go pasta though. Final afternoon leg to the hotel. 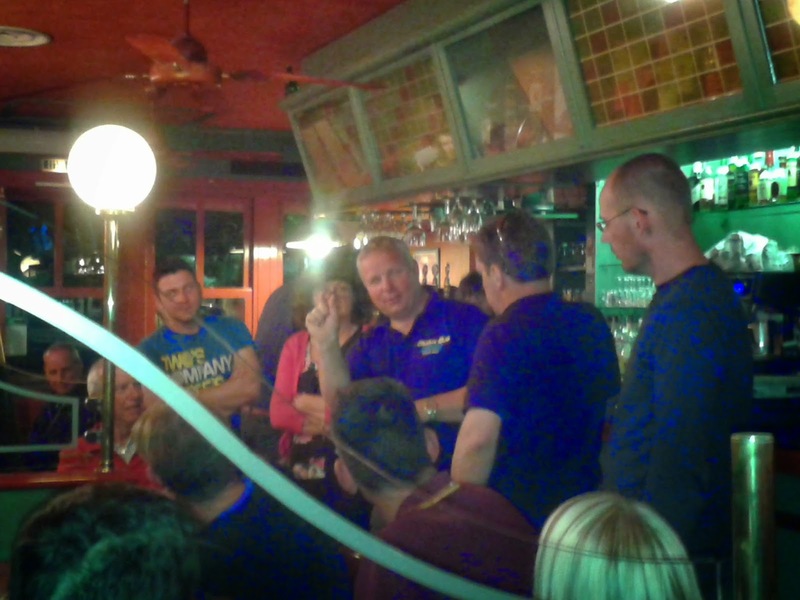 Last night saw us in an Irish bar downtown, taking part in a quiz organised by 'the Captain'. 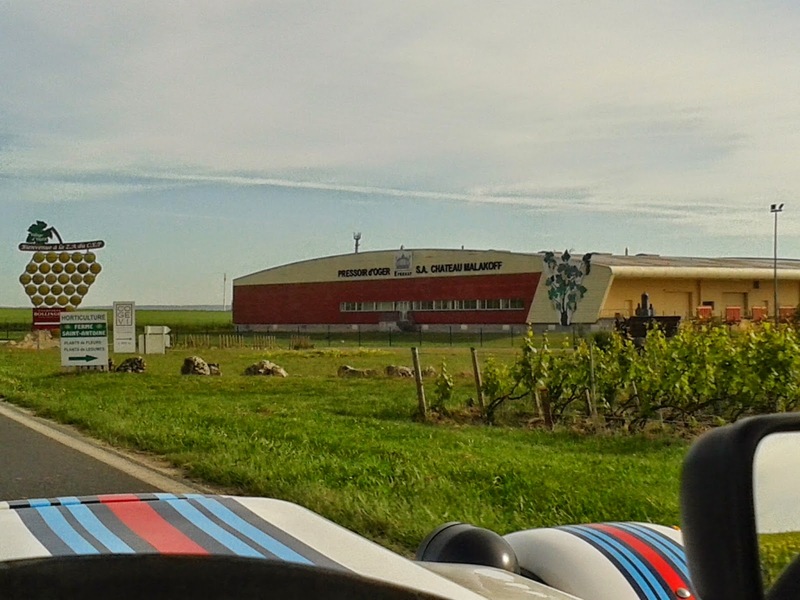 Working our way north through the Champagne region. 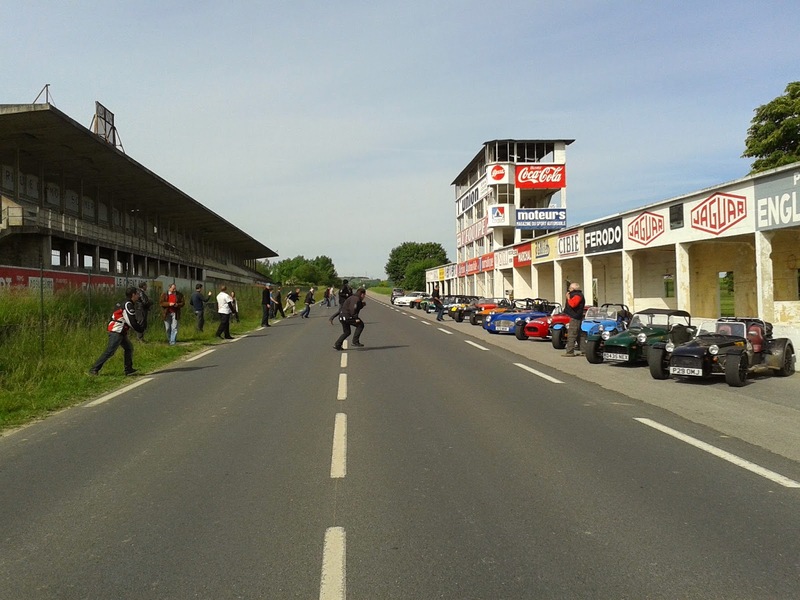 Short breather at the remains of the Reims circuit pits. 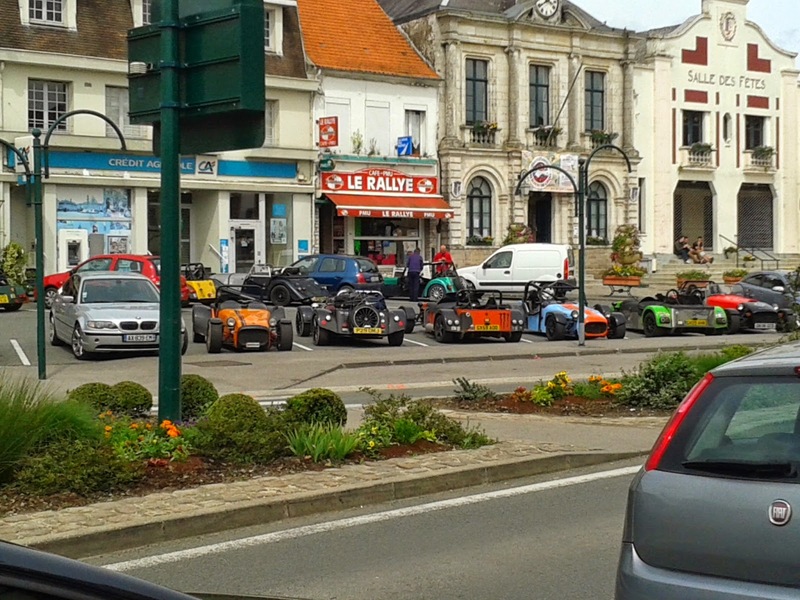 Once the traffic has died down we tried a 'Le Mans Start', much to everybody's amusement, mostly those locals spectating! 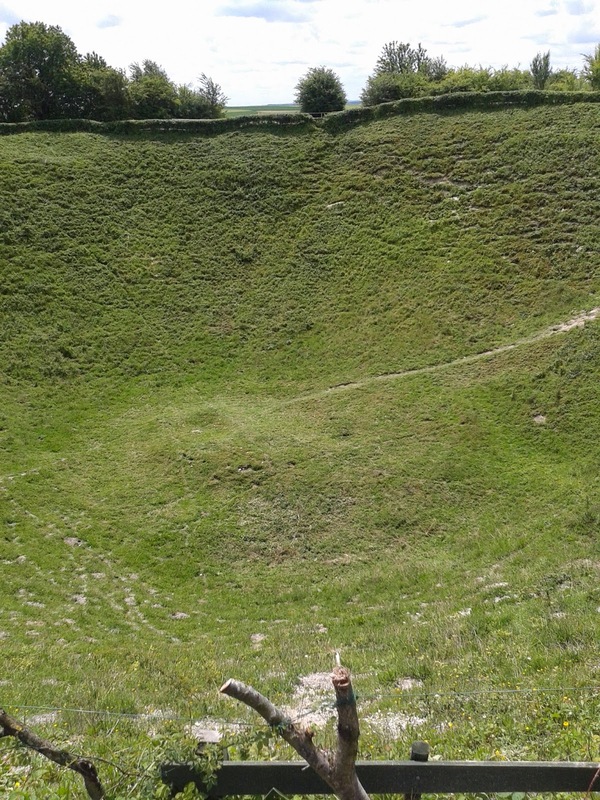 Visiting Lochnagar crater was astounding and sobering at the same time. We thoroughly enjoyed our trip. The effort put in by 'the Captain' really showed and everybody benefited from lots of stunning driving roads, good overnight stops and interesting tourist distractions along the way. We shall definitely be making every effort to join the Euro trip in 2015. 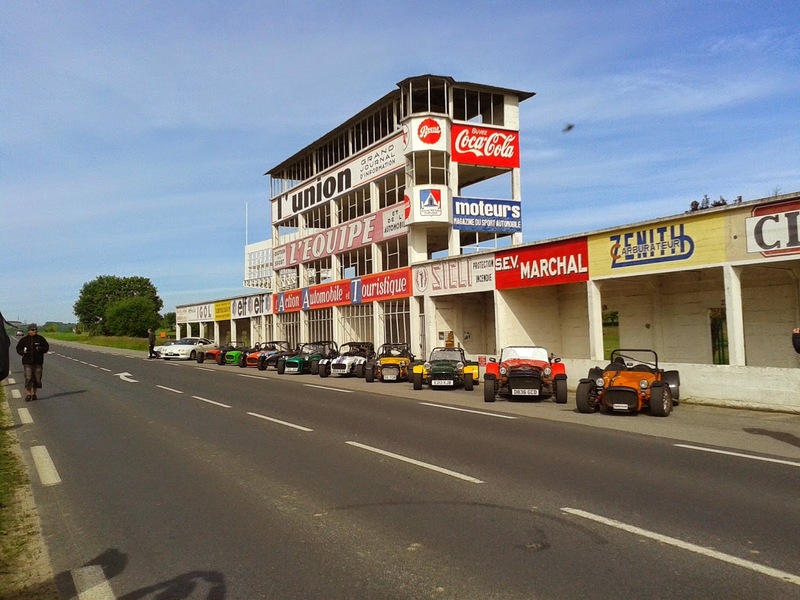 With the Southern Kit Car Club European road trip coming up it was time to give the car a check over and look for anything that might present reliability issues during the 1300+ miles. One thing I've been keeping an eye on recently is the original Tiger engine mounts. Other Avon owners have had issues with these failing and I suspected it was only a matter of time before mine gave me issues. Upon closer inspection there did seem to be some metal fatigue setting in where the diagonal tubes meet horizontal plates. I was not happy with this so decided now was the time to get on with fabricating a more robust replacement. After jacking up the engine and resting it on some wooden joists I was able to remove the old engine mounts. Straight away it was easy to see that in their natural rest position these had not been level with the top of the engine rubbers. Instead they had been inclined and the tightening of the bolts had clamped them down onto the rubbers and had deformed the top of the rubbers over time. This obviously meant that there was a constant force applied trying to tear the diagonal tubes from the horizontal plates, even before any twisting force is applied by an accelerating or decelerating engine. With the original engine mounts fitted, the engine was not level. So using the wood under the sump I raised the inlet side around 15mm to bring the bottom of the engine (sump) horizontal with the ground, when viewed from the front of the car. Next I replicated the four flat plates. This time out of 6mm steel instead of the previous 5mm. For the diagonals I used 5mm thick 45mm box section. This compares with the 1.5mm tube used previously. Cutting these box sections to fit was a very difficult task. Multiple compound angles and all work being undertaken with the engine in situ. On the exhaust side I was having to work in between the small gaps between the exhaust headers - very difficult indeed. In the end I got there. Had them tack welded by Ashby Welding ready for a trial fit. 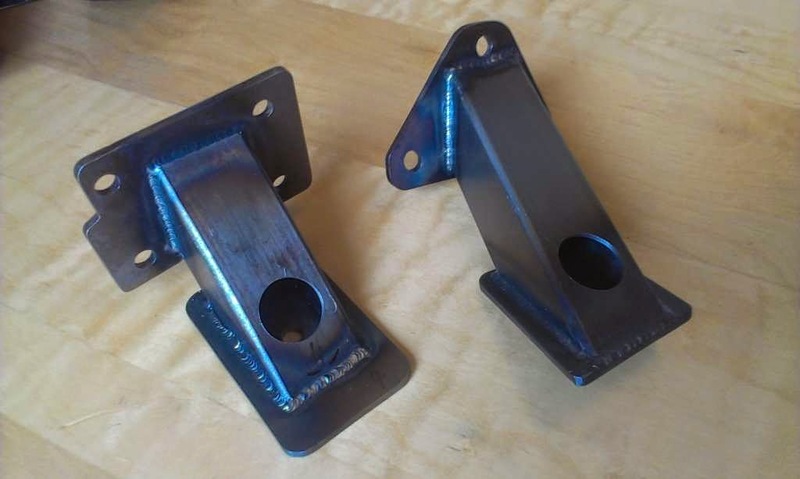 They fitted perfectly, with the horizontal plates resting on new rubbers, without any clamping and with absolutely no stress applied to the mounts or rubbers. Back to the welders to have them fully welded up and here is the end result. A very nice job done by the welder. 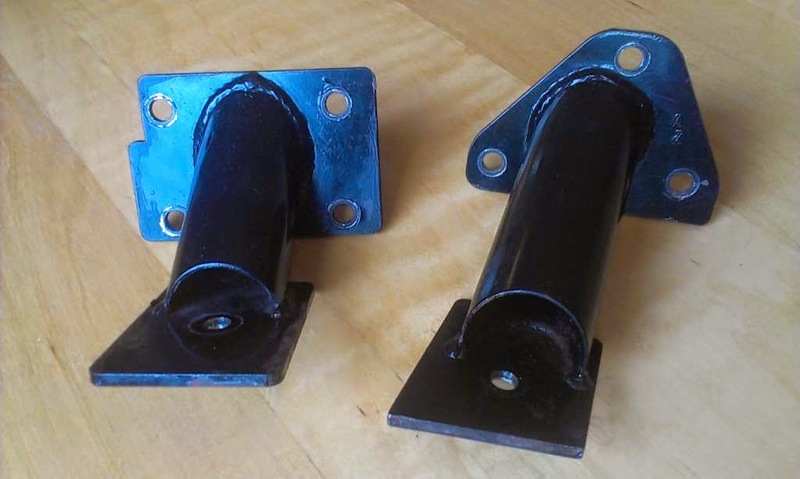 These have been painted up, fitted to the car and bungs inserted into the bolt holes to protect from water ingress. Another long term to-do list job completed and hopefully another piece of reliability added to the car. My Acewell digital dash has two inputs for temperature senders. One is mounted in the thermostat housing and measures the coolant temperature. For a while now, I've wanted to use the spare input to measure the oil temperature. 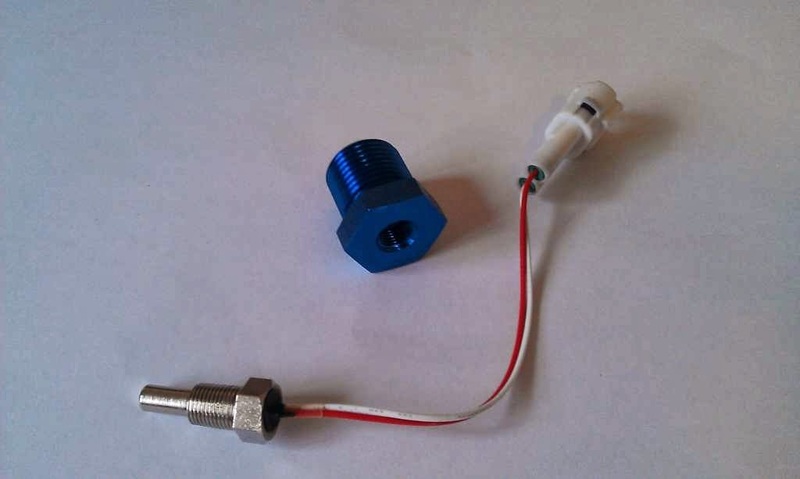 First I got hold of a spare 1/8" NPT temperature sender that is compatible with the Acewell unit. The only place that this can be fitted is in the Raceline sump plug. I called Raceline and they kindly informed me that the sump plug is 1/2" BSP, whereas the front plug that is used to access the gauze filter, is slightly larger at 3/4" BSP. 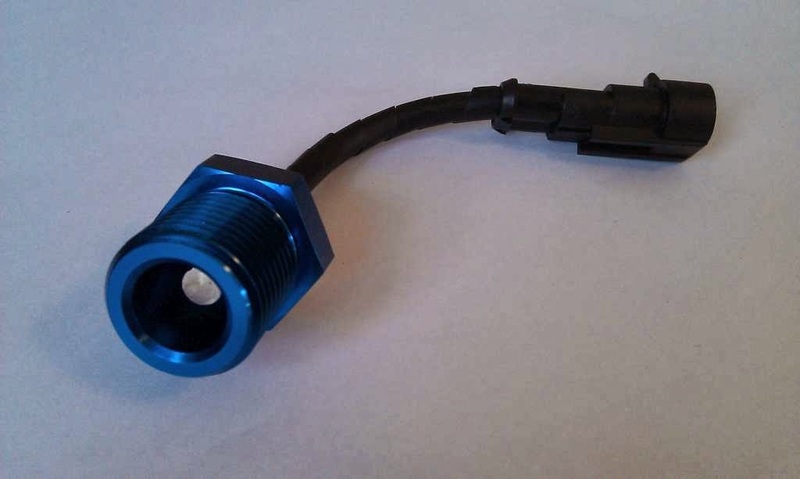 So, to get the sender to fit in the sump plug I needed a 1/2" BSP male to 1/8" NPT female adapter. Thankfully, eBay came to the rescue again with a nice anodised blue item. Thought I'd get blue to replace the blue Raceline sump plug. First job was to fit the sender in the adapter. As the NPT thread is a tapered one I used just a couple of turns of PTFE tape to lubricate the threads. Then I swapped the Acewell plug for a waterproof 2-way AMP plug. The white Acewell connector was used at the other end to connect into the short wiring harness that plugs into the back of the digital dash. Some spiral wrap was added to give some protection to the wires. The best metric copper crush washer would have been 21mm, but the nearest commonly available is 22mm. This was slightly too large and leaked. In part because the head of the adapter is not very wide, so the crush washer needs to fit very closely to the threaded part. In the end I got hold of a 1/2" BSP washer, normally used for sealing air lines and tools I believe. This seems to be holding up well so far. I'm conscious that the end of the sender, along with the associated wiring, is a little vulnerable hanging out the side of the sump. 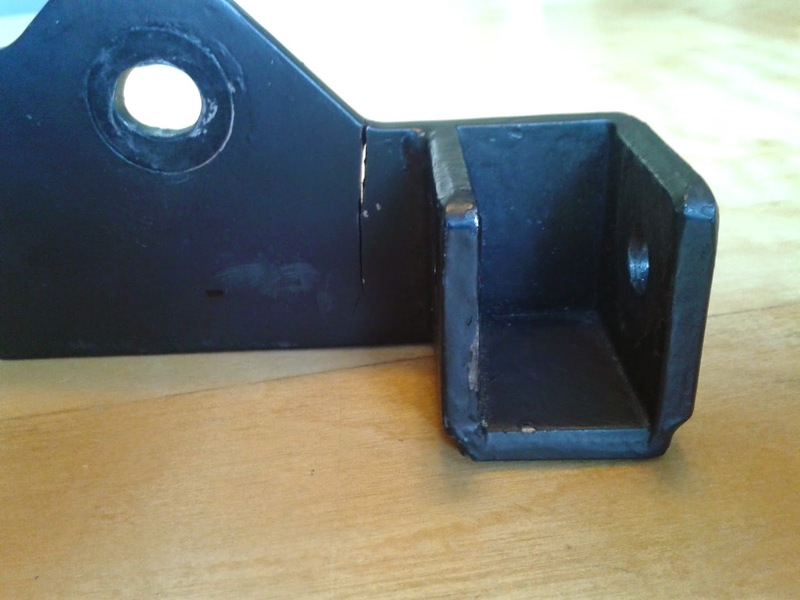 I'm not planning on putting any additional protection on just yet, as one of my next job will be to fit a sump guard. This can be made in such a way to provide some cover for the sender and wiring. I've been out twice now: once at around 5oC ambient air temperature and once at around 15oC. Both times the oil temperature got to only the high 70's oC. It did fall a little when moving at speed and did rise a little when at rest, so there is certainly a degree of cooling of the sender, or even sump, due to airflow under the car. I think the oil temperature is not rising further due to the large volume of oil in the Raceline sump (5 litres) plus the large surface area, including cooling/strengthening fins. It will be interesting to see what temperature the oil gets up to on a quick run on a hot summer's day. I think once the sump guard is fitted, this will allow the sump to run a little warmer. Also, the sender is shielded a little inside the cavity of the adapter so this might knock a few degrees Celsius of the reading. One of the things that I did during the Winter months, whilst the car was off the road, was to update the interior. I remove the carpet from the rear bulkhead and the footwells. This left a lot of spray glue on the aluminium panels. Soaking the residue with white spirits worked well. The carpet and vinyl tunnel cover was also discarded - I'd always intended to have more of a stripped out racer look anyway. Problem was, the tunnel top was all bent in where the driver and passengers had leaned on it with their elbows. It was only around 0.6 or 0.8mm in thickness. Nice and light, but not up to the job in its particular location. I used the old tunnel top as a template to fabricate a new one out of 2mm aluminium. 1.5mm would probably have been sufficient, oh well. I made three separate panels to facilitate removal in sections. The old gear knob got damaged beyond repair during its removal. So, I took the opportunity to get the nice Rally Design black acrylic gear knob. 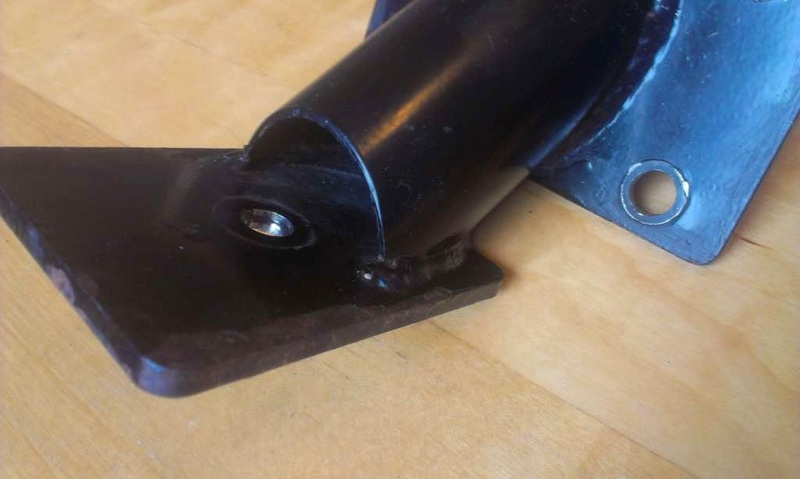 This is much better, as instead of being tightened on with grub screws, this one properly screws on to the 10mm x 1.5m threaded end of the Rally Design quick shift lever. Even though I shortened and angled my quick shift lever, I did maintain the threaded end. This turned out to be a very worthwhile move. I'd been meaning to fit a battery isolator for a while. Partly as a safety feature for when the car is stored in the garage and partly in preparation for possibly taking part in formal motorsport events, e.g. sprints. 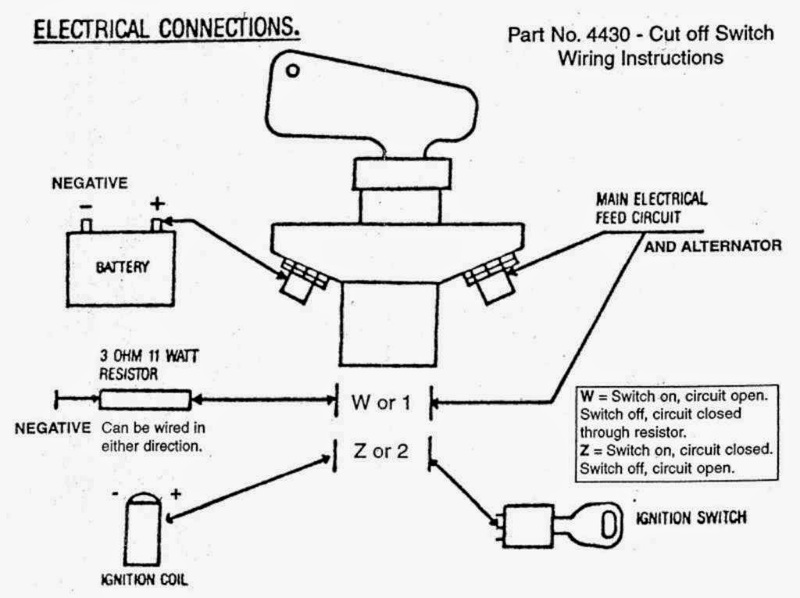 There are simple isolators available that just cut the positive connection to the battery. They achieve the goal of isolating the battery, but if turned off whilst the engine is running, will very likely kill the circuit in the alternator, as the load has nowhere to go. Also, if the ignition coil/ECU is not isolated from the alternator, it is possible for the engine to continue running even after isolating the battery. The solution to both of these issue is to use the more advanced model of isolator switch. 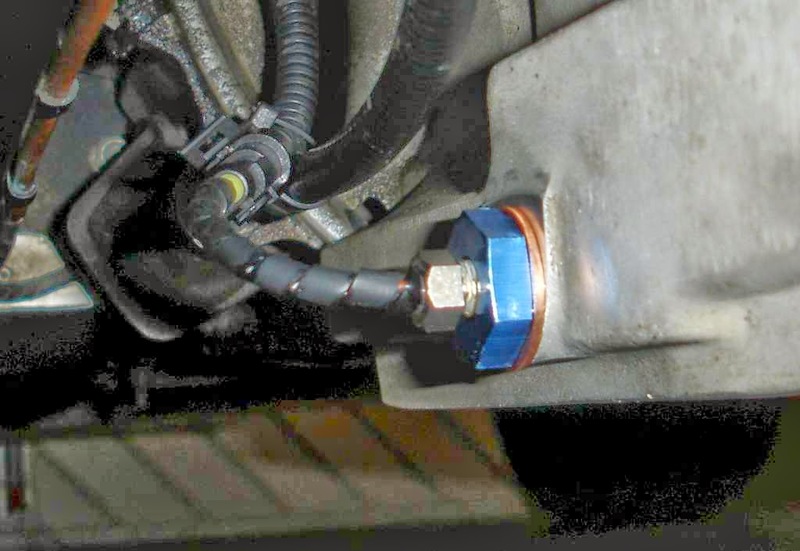 As can be seen below, this not only breaks the supply to the coil/ECU, but also dumps the alternator load to a resistor for the short period after the isolation switch is activated and before the engine ceases to rotate. The main challenges to fitting the switch to an Avon with the bodywork fitted was finding a suitable location for the switch as well as routing the wiring. I had some bespoke cables made up by a seller on eBay. These were 170 amp rated and had the appropriately sized ring connectors fitted on each end. I decided to locate the kill switch in a hole that was used for a side mirror before I fitted the cage. The one on the other side of the car still has as blanking bung. 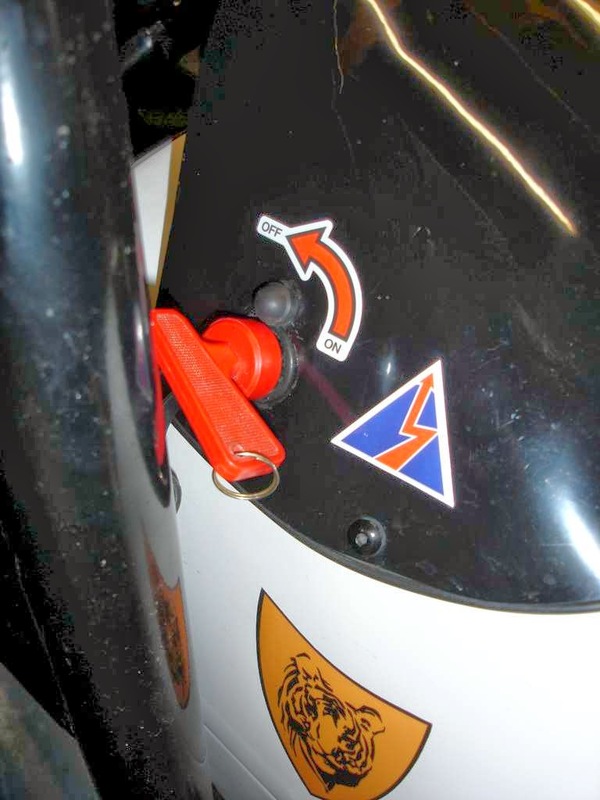 This location for the switch should also comply with the MSA regulations, i.e. 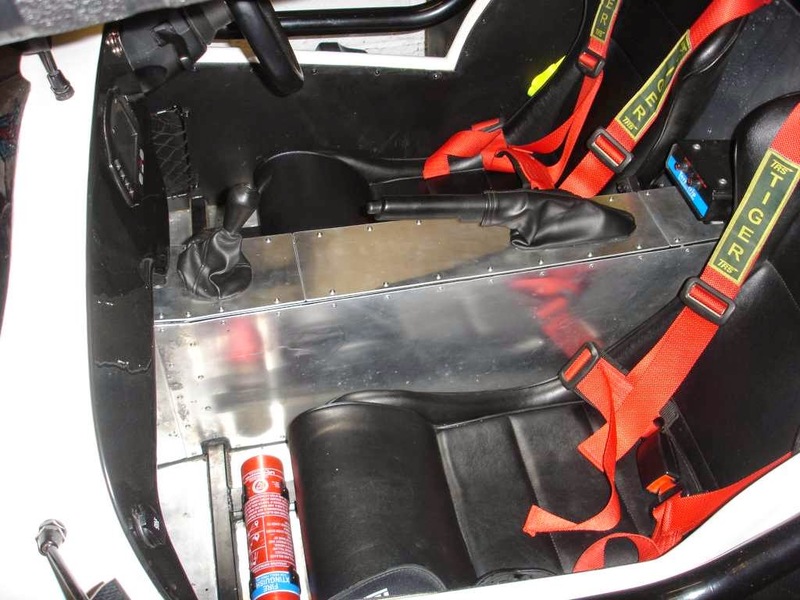 it can be activated by the driver whilst strapped in to the car, as well as a marshal from the outside of the car.